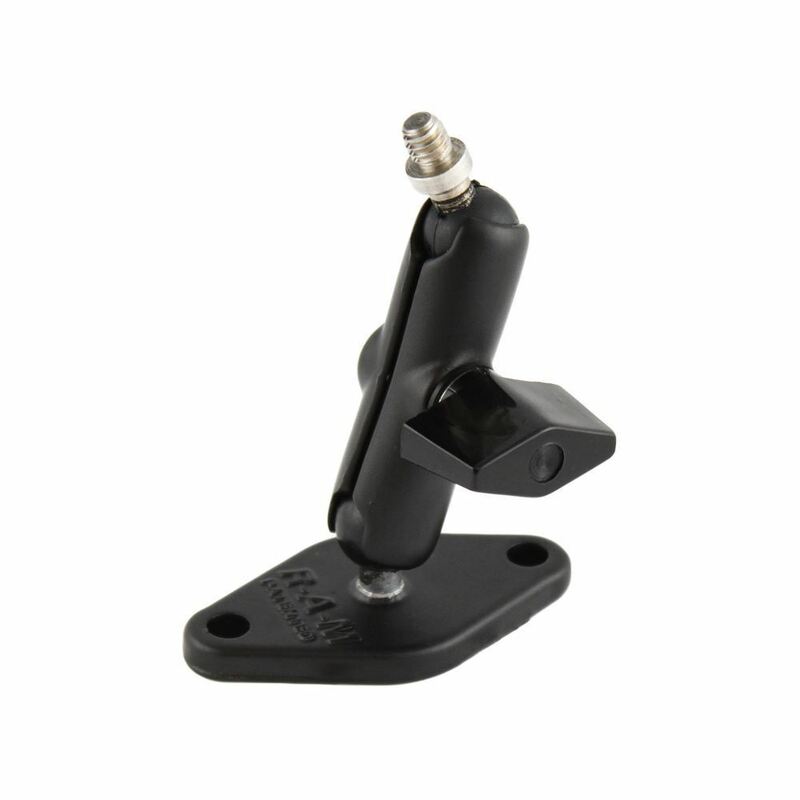 The RAM-B-101AU RAM Mount, Suitable for RF, SA and DS Compact Screens, from the RAM GPS Mounts range is made of a single 2.5” diameter circular base designed with the AMPS universal hole design, universal camcorder or camera base, and a double socket arm. The base is made of a 2.5” diameter circular base and a ¼-20 camera thread joined to a 1” diameter rubber ball. It is built with vibration and shock resistance with maximum adjustment potential.